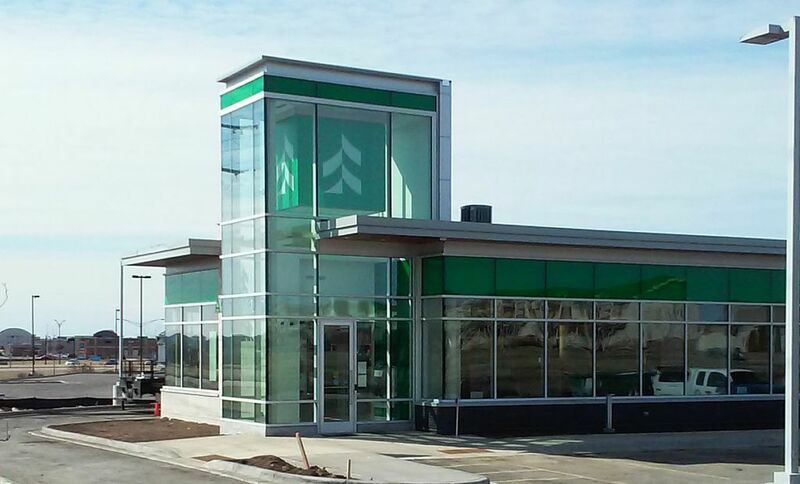 Sun Prairie, WI – March 23, 2015 – Associated Bank has opened a new branch bank at 685 S. Grand Ave. in Sun Prairie. According to bank manager Phil Wiedenbeck, the Grand Ave. location replaces the Copps West branch. “Our exciting new branch provides our customers with an enhanced banking experience thanks to a blend of enhanced customer service and digital technology in a vibrant, contemporary setting,” Wiedenbeck said. According to Wiedenbeck, the 4,000 square foot facility features Associated’s updated branch architecture complete with full service teller lobby and drive-through banking. A technology kiosk located in the lobby allows customers to sign up for online banking, interact with mobile applications, and access online loan origination capabilities. Lending and investment service professionals are also available at the branch. “Associated’s investment in this new branch reflects its commitment to the Sun Prairie area as well as the dynamic development taking place in this part of our community,” Wiedenbeck said. Associated has approximately 30 banking operations in the greater Madison area, and the Sun Prairie branch is planned as a hub for the company’s operations in the region.